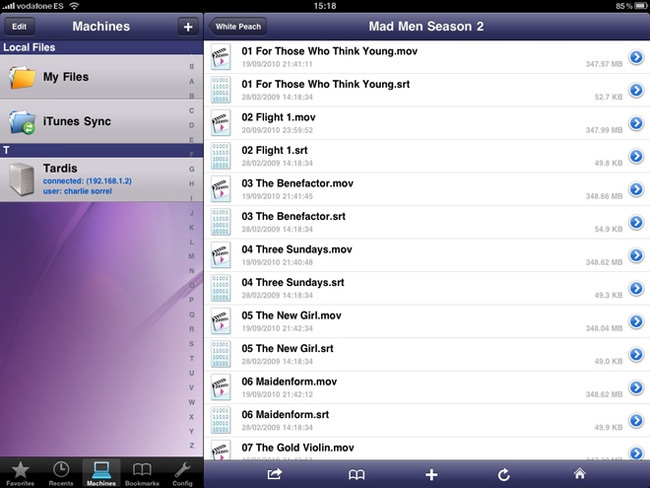 There are a number of apps available that let you stream movies to your iPad but ‘FileBrowser’ is the first to allow you to do so directly through your network without the need for a computer to be turned on. The new FileBrowser app allows you to access a network-attached storage (NAS) drive, streaming video and music to your iPad from either an Apple Time Capsule or other network attached drive. To setup the app all you need to do is provide the app with your Time Capsule or Airport name and FileBrowser will work with any file that iOS can recognise. Over an 802.11n Wi-Fi connection the app will allow you to search both internal and external drives as fast as if they were local storage, and clicking on a compatible video file will start to play it in the app instantly and provide you with the standard media-control buttons.